Cedar Crossings – $99,900, 2 bed Condo with two car garage. Community offers 100% maintenance free living with a state of the art clubhouse (Swimming Pool, Theater Room, Jacuzzi, Basketball Court, Childrens Playground, Fitness Room, Lounge Room with full sized kitchen, fire place 42″ flat screen). In Cedar City, only 30 minutes from Brian Head. Close to the Shakespearean Festival, restaurants and other entertainment Cedar City offers. Limited time only. Contact Scott at (435)590-7106 for additional information. 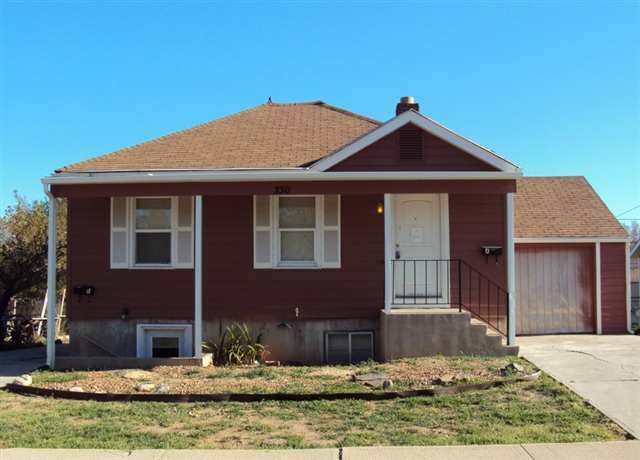 330 West 300 North – FORECLOSURE – $57,000 – 3 Bedrooms, 2 Full Baths, 1 Car Garage , 1,354 Sq. Ft. Cottage on .09 Acre Lot. Great Investment Opportunity – This one story home has a basement apartment. You can live on the top floor and rent out the bottom! The upstairs apartment is a 2 bedroom, 1 bath place. The downstairs unit contains 1 bedroom and 1 bathroom. The home is on a shared gas meter (water heater) and separate electric meters (furnace/electricity). This property is sold “As-Is”, and a $75 buyer paid doc fee is required at closing. For additional information or to schedule a showing, please contact Scott at (435) 590-7106. 6592 North Minersville Hwy – FORECLOSURE – $155,925 – SOLD– 4 Bedrooms, 3 Full Baths, 2 Wood Burning Fireplaces, 3082 Sq. Ft. Home on a Large 5 Acre Lot. The price is right on this home with ample acreage to accommodate all your hobbies and toys. Included on the property is a greenhouse, large working shed, and RV parking space. Enjoy the fenced back yard, lawn, and covered patio. The interior of the home features a large, rambler layout with extra office/den space. The kitchen has a cook top stove and a double wall oven. Utilities to the home are city water, electricity, and propane. Property is “Sold-As-Is”. Buyer to verify all information. Call Scott at 435-590-7106 for additional information. 715 N. 4375 W. – FORECLOSURE – $139,900 – SOLD 3 Bedrooms, 2 Full Baths, 2 Car Garage Home on a large 1 acre lot in the Buena Vista Subdivision. This cozy home is only seven years old. Enjoy the space, enjoy the view, and enjoy home ownership for a low price. The upstairs has vaulted ceilings with an open floor plan. The family room is wired for surround sound. The basement has a large finished laundry room, and the rest of the basement area is unfinished awaiting your own design preference. This is a great opportunity too purchase a nice home that is close to Cedar City and all the recreational and cultural opportunities nearby with the many national and state parks, Brian Head Resort, and Southern Utah University. Property is Sold “As Is”. Buyer is to verify all information. For more information or to schedule a showing, call Scott at 435-590-7106. 4347 N. Morgan – Priced To Sell – SOLD $110,900 – 5 Bedrooms, 2 Full Baths, 2 Car Carport Home on .53 acre lot with animal rights in Enoch, UT. This good, large home has three bedrooms and two bathrooms upstairs. The basement is partially finished and fully sheetrocked with one full bedroom finished. The lot is partially landscaped and has room for RV parking. This is a perfect home for your family residence or for use as a rental property. The home is located in a nice, rural neighborhood with great schools and quick access to Cedar City, Brian Head Resort, and Southern Utah University. 371 West 1150 South – $64,900 – 4 Bedroom, 3.5 Bath, Two Story 2,284 Sq. Ft. Home on .11 Acre Lot in Cedar City, UT. This large twin home has an open family room, large bedrooms, and an unfinished basement. Enjoy the large yard and quiet neighborhood. There is plenty of room for parking. Appliances included are a dishwasher, garbage disposal, refrigerator, and a complete range with range hood. Enjoy close proximity to town and beautiful mountain views. Perfect for a personal residence or as a rental unit. Property is sold “As-Is”. Call Scott at (435) 590-7106 to schedule a showing or for more information. SHORT SALE – 4165 West 250 North – $129,000 – 4 Bedroom, 2 Bathroom 1650 sq.ft. ranch/rambler home on a .17 acre lot. This great family home offers plenty of bedrooms and bathrooms on a single level. It would be perfect as a personal residence or would make a fine investment property. The home features an open floor plan, central air conditioning, natural gas heat, a covered patio, a 2 car garage with an automatic garage door opener, curb, gutter, and sidewalks, and a great yard. Appliances included in the sale are a dishwasher, range, microwave, and garbage disposal. Call Scott at (435) 590-7106 to schedule a showing. 294 North Torrey Pines – FORECLOSURE – SOLD – $114,900 – 4 Bedroom, 2.5 Bath, 2 Car Garage, Two Story 1,863 Sq. Ft. Home on .14 Acre Lot in Cedar City. This beautiful twin home features an open floor plan. Home is equiped with central air and natural gas heat. Appliances included in the sale are a dishwasher, refrigerator, complete range, washer, and dryer. The yard is fully landscaped and on a sprinkler system. Enjoy close proximity to shopping, parks, and entertainment. This is a Fannie Mae Home Path property and is approved for HomePath Renovation Mortgage Financing. Property is sold “As-Is”. Perfect for a personal residence or investment property. Call Scott at (435) 590-7106 to schedule a showing and for additional information. 4646 North 25 East FORECLOSURE – $145,000 – SOLD 3 Bedrooms, 2 Full Baths, 2 Car Garage Home on a large .44 acre lot in Enoch, UT. This great home has tile and carpet throughout. Enjoy the open floor plan, high ceilings, an open kitchen/dining area, and a family room. The large back patio is covered. The home is single level with a 2 car garage located just off the kitchen. There is extra exterior and interior lighting. This is a perfect home for your family or for use as an investement property. The home is located in a nice, rural neighborhood with great schools and quick access to Cedar City, Brian Head Resort, and Southern Utah University. Call Scott at 435-590-7106 for additional information or to schedule a showing. 3827 W. 1500 N. FORECLOSURE – SOLD – $193,900 – 5 Bedrooms, 3 Full Baths, 2 Car Garage Home on a .23 acre lot in the prestigious Equestrian Pointe Subdivision. This beautiful home is only six years old. Enjoy upgrades throughout such as hardwood floors, tile, cherry cabinets, and a large master suite with a jacuzzi tub and separate shower. The basement includes a large family room. This home has everything you need to enjoy comfortable family living. The yard is fully fenced, landscaped, and on an automatic sprinkler system. Take advantage of this great opportunity to purchase a nice home close to Cedar City, Brian Head Resort, and Southern Utah University. Property is sold “As Is”. Buyer is to verify all information. A $75 buyer paid doc fee will be required at closing. Contact Scott at 435-590-7106 for additional information. 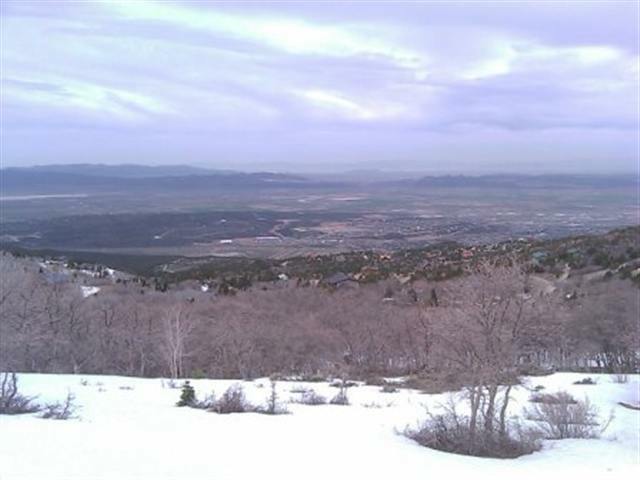 Canyon Ridge P.U.D., Lot 54 – 486 E. Hillview Drive, Cedar City, UT – $66,000 – SOLD FORECLOSURE – This beautiful .31 acre building lot is in Cedar City’s Golf Course Community. The lot backs to a park and walking trail. The lot terrain is flat with a gradual slope and is perfect for your new custom home. Improvements are paved roads, curbs and gutters, sidewalks, and city utilities including water, electricity, natural gas, and sewer. All contracts are subject to IndyMac senior management approval. Any offers or counter offers by IndyMac are not binding unless the entire agreement is ratified by all parties. A $75 doc fee will be paid by the buyer at closing. Lot is sold as is. 2371 South Mountain View Drive – $105,000 – Look at these views! Nice, large 2.05 Acre building lot in the Cedar Highlands Subdivision. Enjoy ownership of one of the highest lots on the mountain – perfect for your new home. Lot has two access roads. Utilities to the lot include a community well, electricity, natural gas, and a septic tank system. Lot terrain is steep, hilly, and mountain with sage brush and weed vegetation.